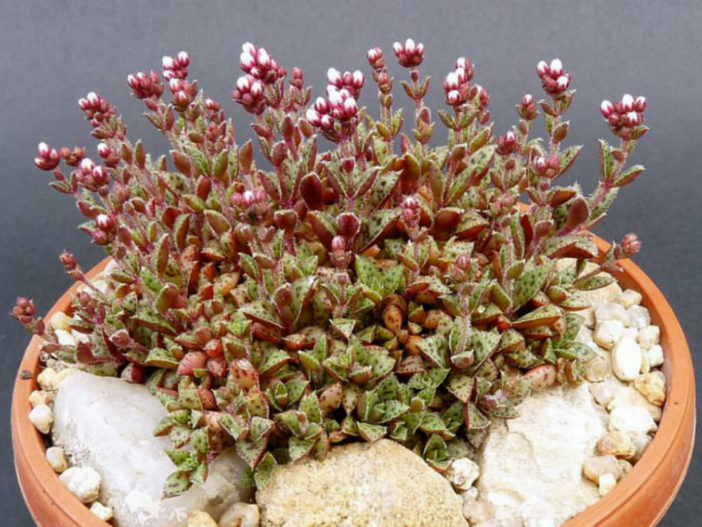 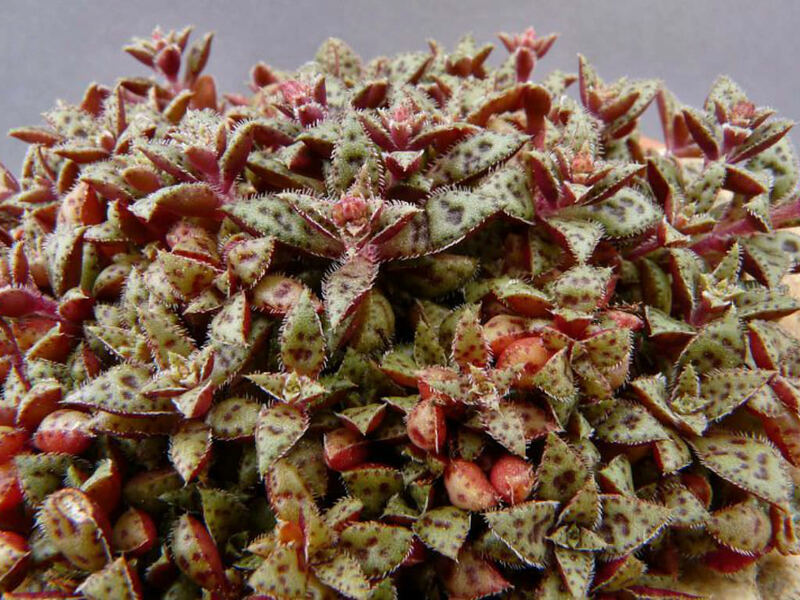 Crassula exilis is a dense, mat forming succulent. 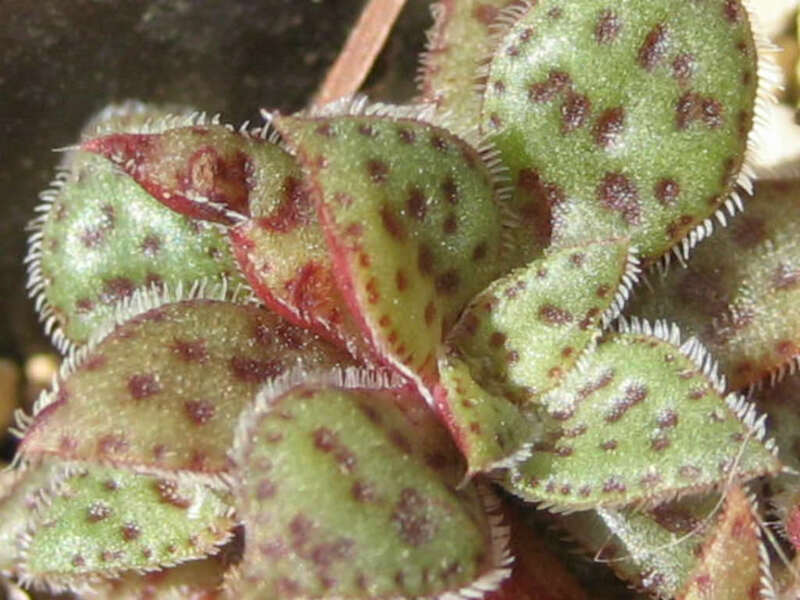 The leaves are usually grey-green with dark irregularly placed dimpled spots on the upper surface, up to 1.8 inches (4.5 cm) long and up to 0.4 inch (1 cm) wide, with a row of dark spots along the ciliate margins. 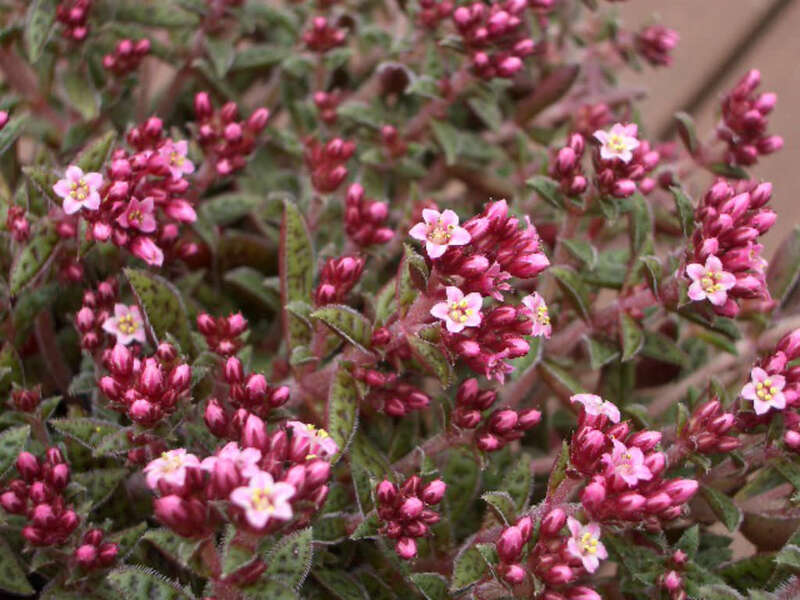 The flowers appear in late summer through to late autumn. 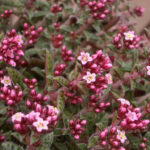 They are small and cup-shaped, up to 0.12 inch (3 mm) in diameter and white to more or less pink, with a musty honey-like fragrance. Crassula exilis subsp. 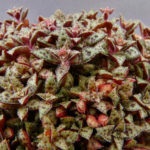 cooperi forms large branching cushions, with broader, oblanceolate, less fleshy, leaves. 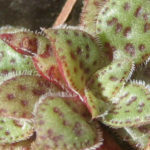 Peduncle erect, hairy with a flat-topped inflorescence.